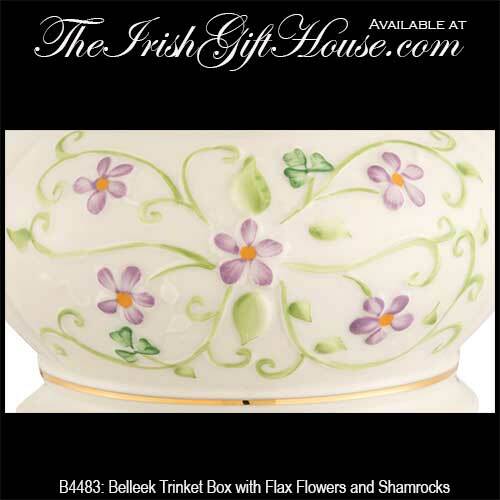 The flax flower trinket box was introduced in 2017 and features Belleek's hand painted shamrocks. 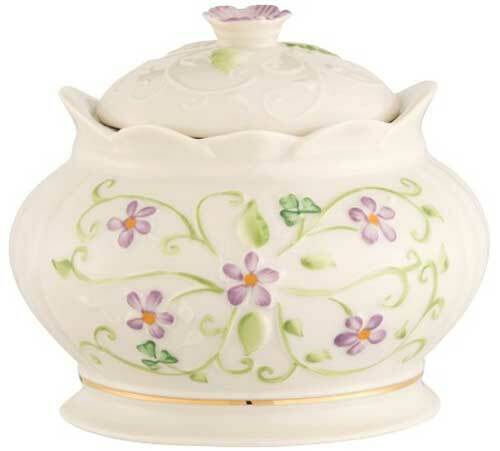 This Belleek box features hand painted shamrocks and flax flowers along with gold accenting. 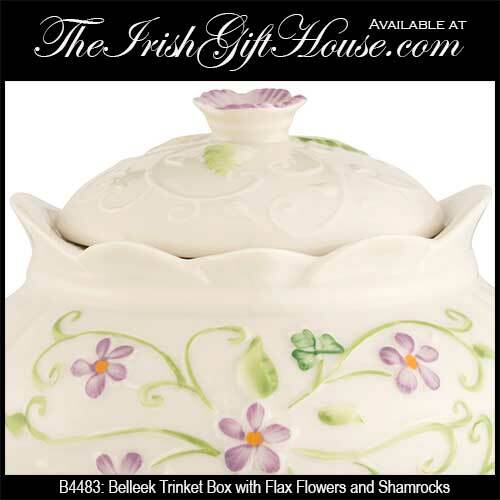 The Belleek flax flower box is made of fine china and measures 3 3/4" wide x 4" tall: additionally, the lid handle is a flax flower from the plant that is used in the production of Irish linen. The Belleek China box is suitable for trinkets and jewelry.